Apparently. Um, I first heard about it when someone asked to show me the trailer for the adaptation. I’m hardly being edgy and original in saying that by this point I’ve become a little jaded with YA fiction. You can only read so many teenagers-rebel-against-an-authoritarian-dystopia novels before it starts to feel repetitive. I’m even more tired of seeing movie studios hastily adapting any series they can get their clumsy paws on in increasingly desperate attempts to make the next billions-grossing summer blockbuster franchise. If you don’t know what I mean, think I Am Number Four, The Mortal Instruments, and that unholy attempt at a Percy Jackson film series. Wait, they spawned a second one?! So I didn’t expect much when my friend sat me down to show me this, especially because I’d never heard of The Maze Runner before. What did this blackened, pessimistic soul think? Exactly what you’d expect me to think. I thought it was awesome. For one thing, there was color. How many of these YA dystopian features feature any sort of shade in the rainbow that isn’t black or very very dark gray? As for actual content, every new line of dialogue was a fresh idea and a total mystery. What, so these kids don’t remember their names?, and they’re trapped in this huge maze?, and there are Grievers and what?, it was just one thing after another and I was fascinated. I knew I was gonna watch this. So I saw it at my university’s on-campus movie theater, in a packed auditorium with a few buds. I’ll give the film credit for being as exciting and engaging as promised, even if there were some really silly things about it. And as I discovered that friends of mine had read the books, it turns out that this is an unpopular opinion among fans. 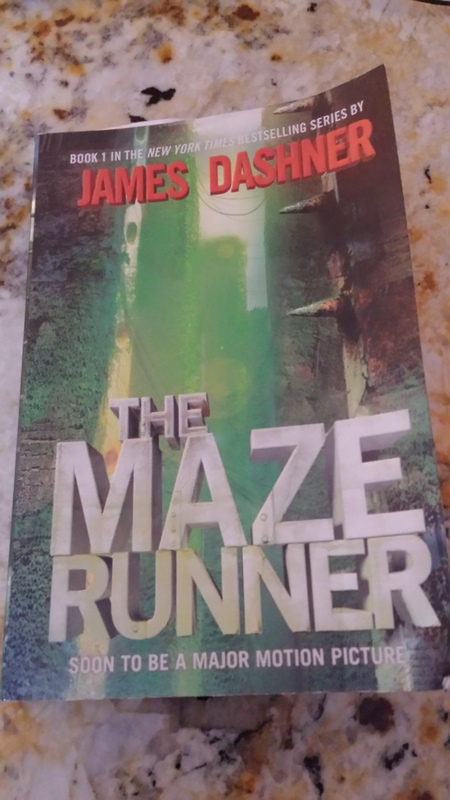 One of them, a friend henceforth referred to for privacy’s sake as Bimmy, strongly believed that my experience with The Maze Runner should not be limited to an unsatisfying Hollywood adaptation and decided to buy the book as a birthday gift to me, which means that I at least feel obligated to finish it. And here we are now! Time to judge a book by its cover: honestly, if I had seen this on a shelf at a bookstore, I wouldn’t have given it much of a thought. 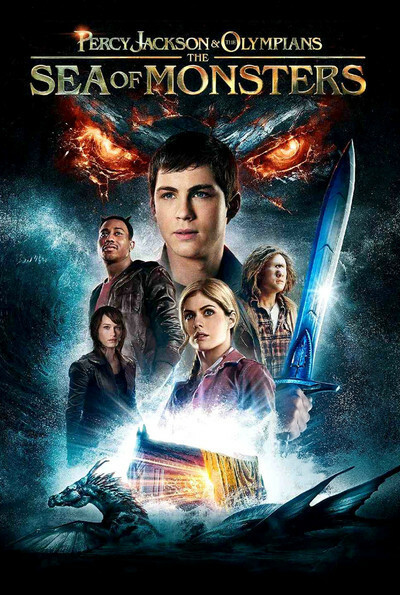 I can’t put my finger on it (though it may be the PowerPoint WordArt font used for James Dashner’s name), but something about it just seems generic. Again, I at least like the presence of color, but otherwise there’s not much else to it that catches my attention. “The Kill Order”? How seriously am I supposed to take this series? The back is fittingly mysterious, with most of the text being excerpted quotes from the book and the rest being vague sentences. The sense of genericness also creeps in here, with that cliched line, “Everything is going to change.” Well, duh, that’s how stories happen. You could just as easily have this line on the back covers of Odyssey, Harry Potter and the Philosopher’s Stone, and Green Eggs and Ham. 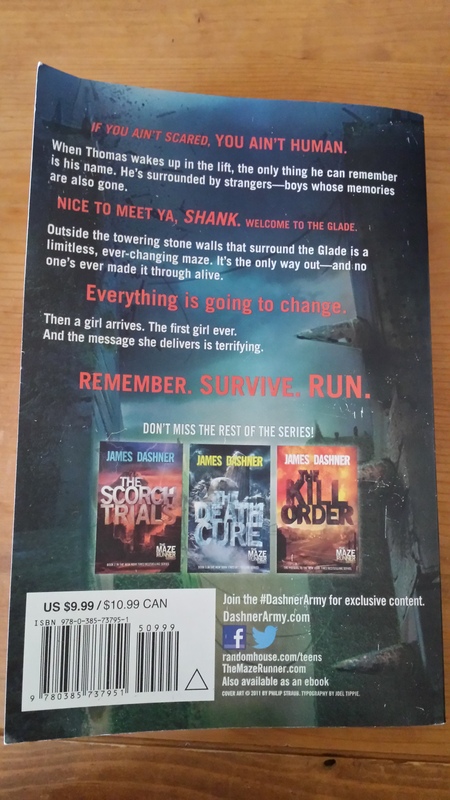 Near the bottom are the lines, “Join the #DashnerArmy for exclusive content. DashnerArmy.com” Sounds legit – I feel that I can trust anyone whose legion of devotees calls itself an army. So as I said before, I received this book as a birthday gift. Thing is, my birthday was more than half a year ago. And because of my aforementioned obligation to read books gifted to me, I know I have to read it at some point! So it’s time to put it off and start reading it. … In the next post!